In 1844, Foy's great-great grandfather, captain of a Norwegian cargo ship, perished at sea after getting lost in a snowstorm. Foy decides to unravel the mystery surrounding Halvor Michelsen's death and the roots of his own obsession with navigation by re-creating his ancestor's trip using only period instruments. Beforehand, he meets a colourful cast of characters to learn whether men really have better directional skills than women, how cells, eels, and spaceships navigate; and how tragedy results from GPS glitches. He interviews a cabby who has memorized every street in London, sails on a Haitian cargo sloop, and visits the site of a secret navigational cult in Greece. At the heart of Foy's story is this fact: navigation and the brain's memory centers are inextricably linked. 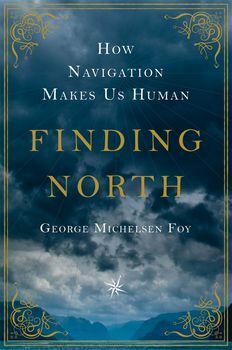 As Foy unravels the secret behind Halvor's death, he also discovers why forsaking our navigation skills in favor of GPS may lead not only to Alzheimers and other diseases of memory, but to losing a key part of what makes us human. A gripping personal and scientific odyssey to discover how humans navigate landscape, life, emotions, memory and everything else. Navigation is the key human skill. It's something we do everywhere, whether feeling our way through a bedroom in the dark, or charting a ship's course. But how does navigation affect our brains, our memory, ourselves? Blending scientific research and memoir, and written in beautiful prose, Finding North starts with a quest by the author to understand this most basic of human skills and why it's in mortal peril. Why Does the Other Line Always Move Faster?